Hi and welcome to the Home Depot DIH Workshop (Do It Herself) Virtual Party, I hope you brought your green thumb with you! Vertical planters, succulents and space friendly gardening are quite the rage and this project will help you add this trend to your home. 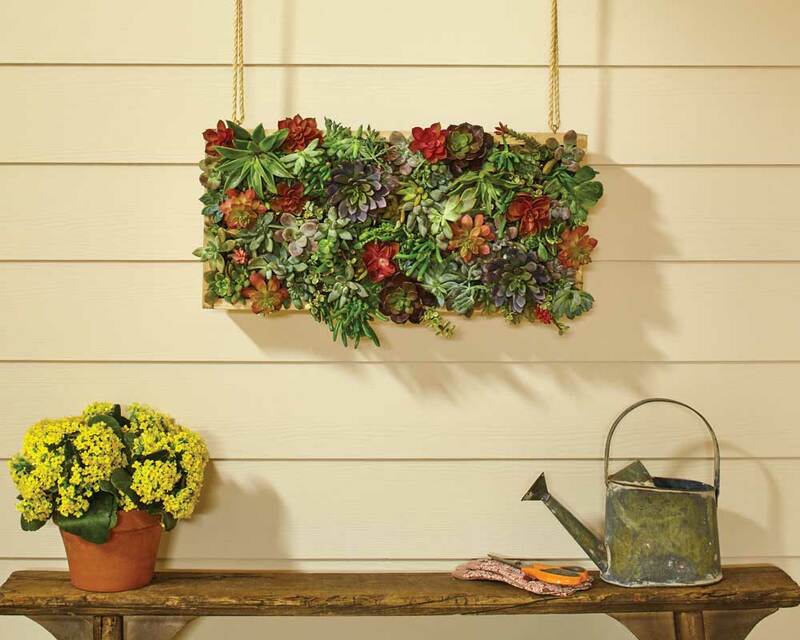 The Home Depot’s DIH Workshop this month is to learn how to make this really cool Vertical Succulent Garden. Today I’m participating in a virtual party with 9 bloggers to show how we customized the Vertical Succulent Garden for our homes. 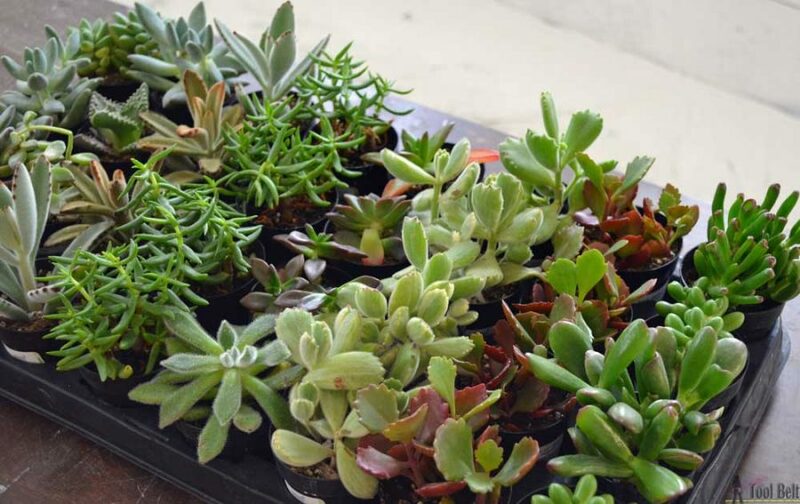 Here is what you’ll learn at the free demonstrative workshop: Learn to build a vertical succulent garden. 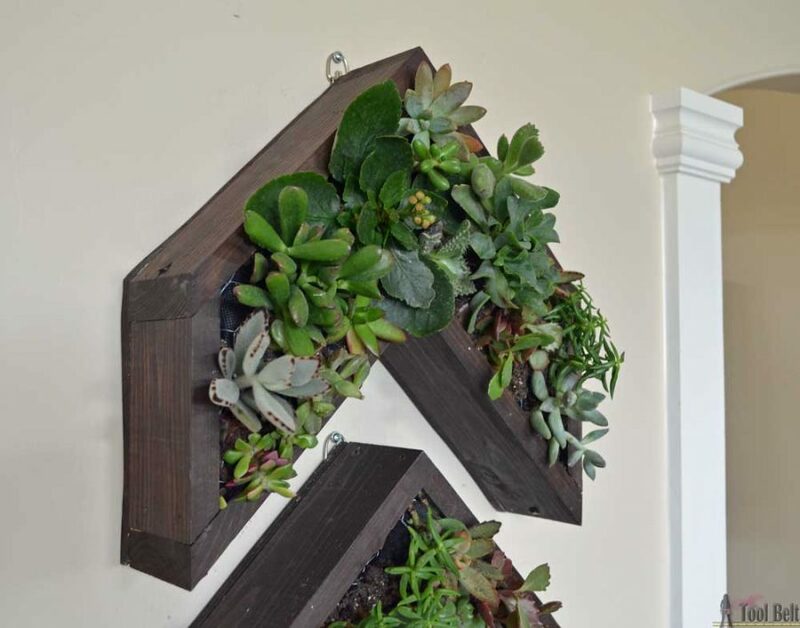 Join our associate-led demonstration and you’ll be shown how to use carpenter’s tools to measure and cut the wood to create a beautiful and space-saving vertical garden for succulents. In addition, you’ll see a demonstration of the safe use of common project tools like saws, drills and nailers. At the end of the workshop, store associates can help you shop for everything you need to create your own project at home. The Home Depot Workshops are designed to provide a mix of associate led instructions, demonstrations, and some hands on learning. Materials can be purchased to make your own project. For more information, contact your local Home Depot store. I have a few narrow walls in the house that are bare and can really use some love. 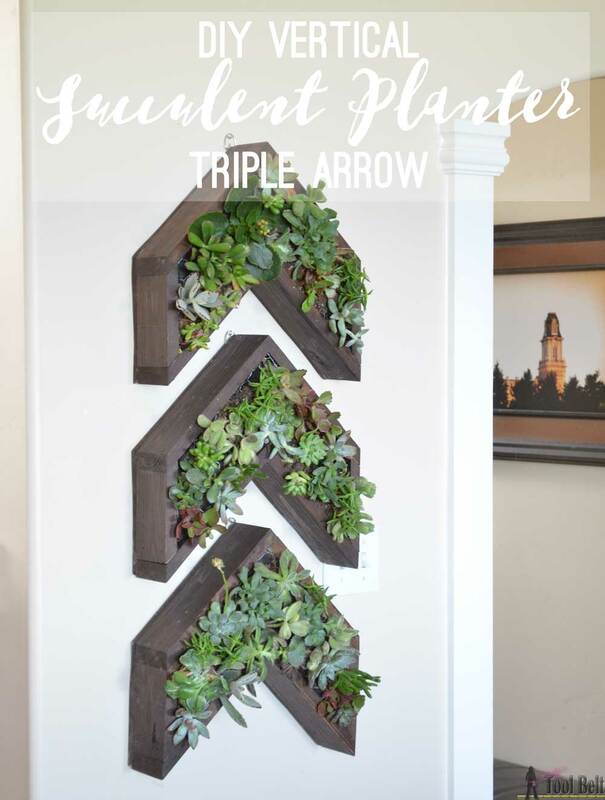 I decided to create my vertical succulent planter into a 3-feather arrow shape, perfect for a narrow wall. 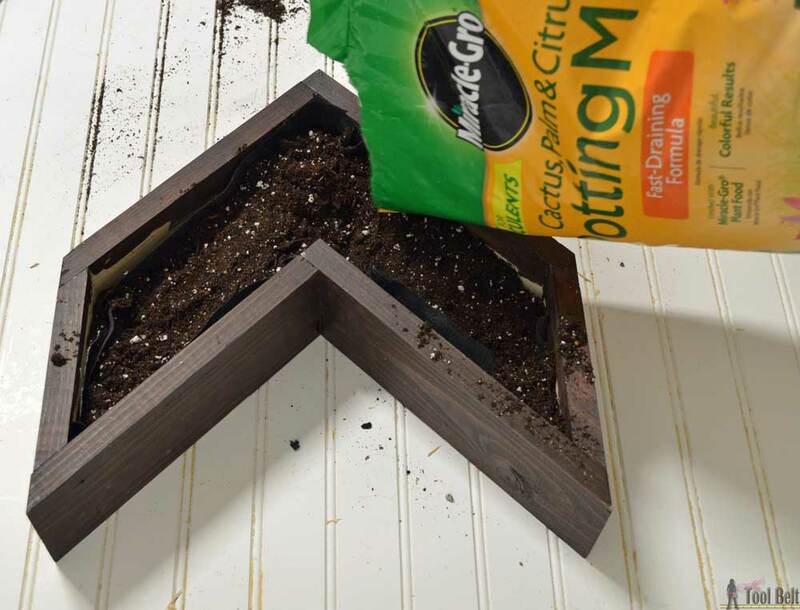 When making the arrow planter, I kept with the same process that you’ll learn at the DIH workshop but changed the shape into a chevron. 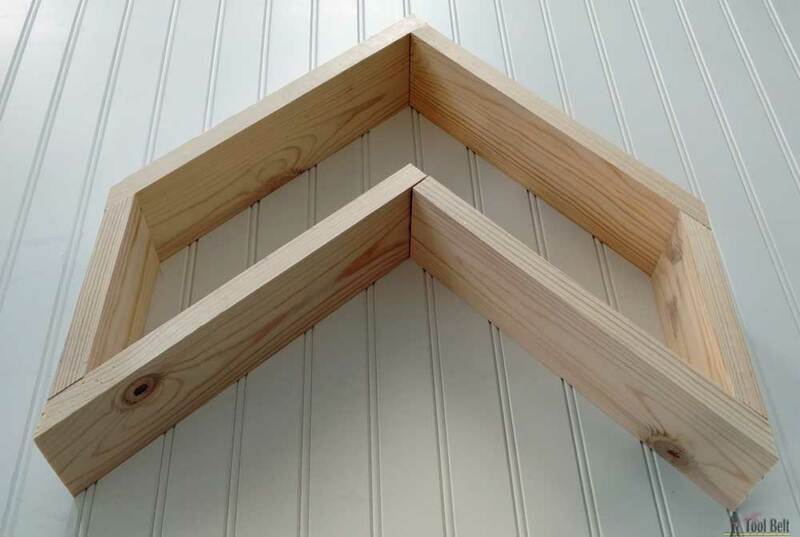 The planter box is made from 1×4’s. 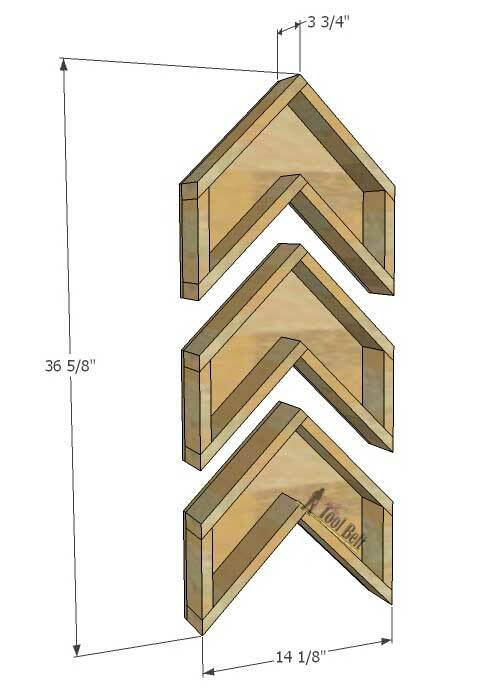 I used screws to assemble the 90 deg peaks in the middle and the brad nailer to get the 45 deg pieces on the sides. 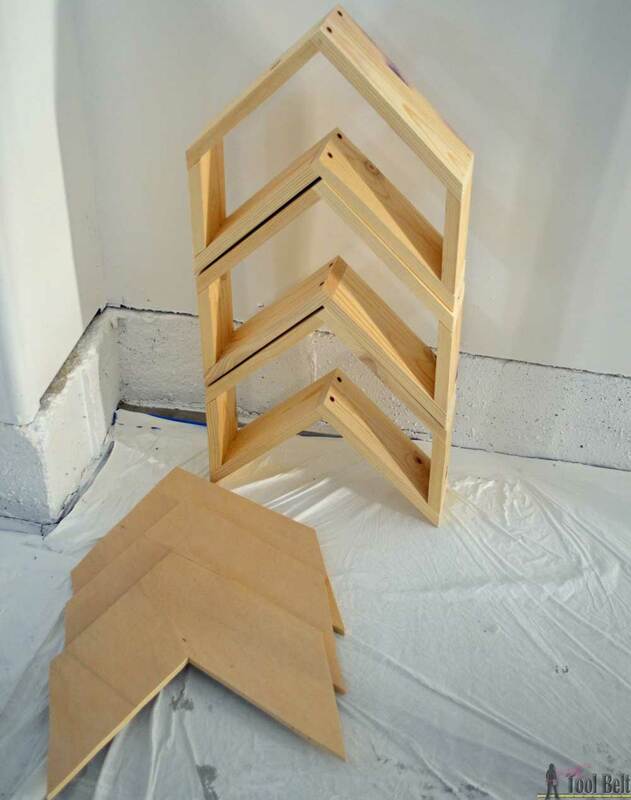 Once the arrow boxes were assembled I traced each one onto 1/2″ plywood and cut out the back plywood pieces with a jig saw. I stained my arrow boxes and back pieces with Varathane Kona and let that dry overnight. 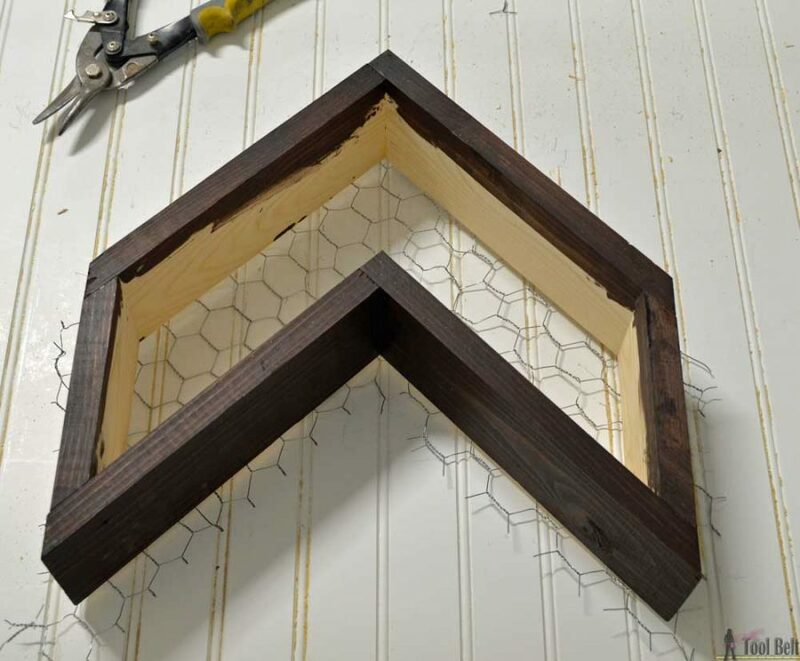 I rolled out the chicken wire, snipped it into the chevron shape and used a hand stapler to attach it to the inside of the arrow. (This pic is for the first arrow, on subsequent arrows I used less chicken wire.) This part got a little tricky because the arrows are smaller than the stapler, but it works to staple near the edge. 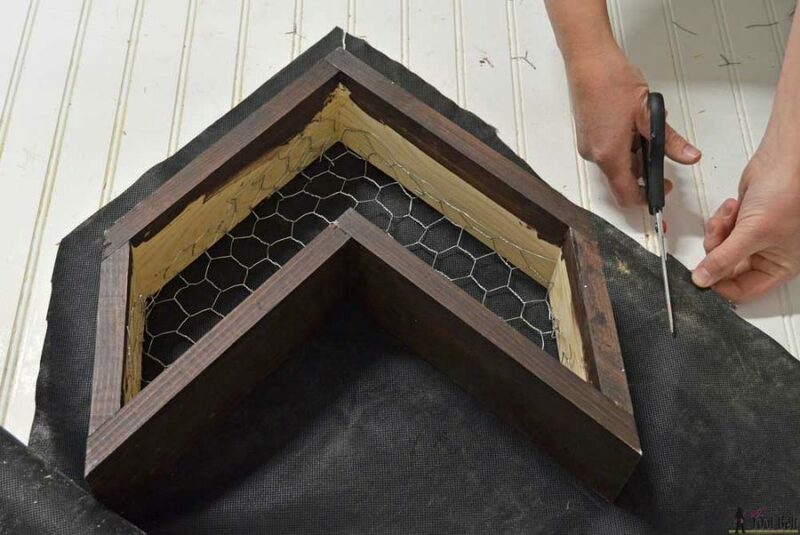 I trimmed a piece of weed guard for each arrow and placed it over the chicken wire. Now time for the soil. I used the succulent blend potting mix and filled each arrow box full. 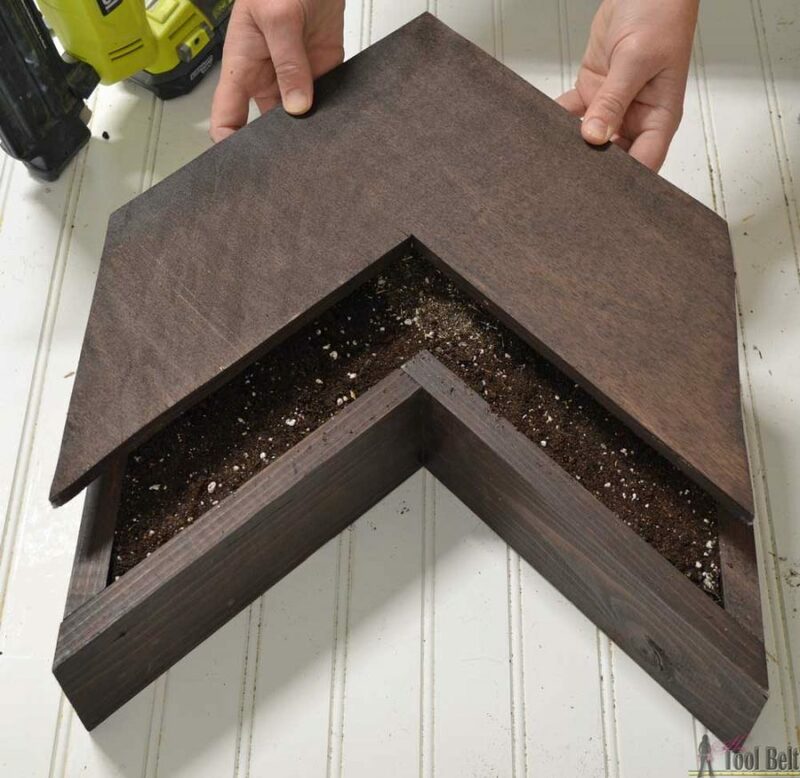 Once the box was full of soil, I placed the arrow back on the corresponding arrow and nailed it on with a brad nailer. Now the fun part, adding the succulents. I cut a hole in the weed guard and used my finger to clear away room for the roots and placed the succulent into the planter. You’ll need a lot of succulents to make the planter look full, or wait until the succulents grow and fill in the planter. I bought 34 succulents at first and went back for 10 more. The result is super fun though! 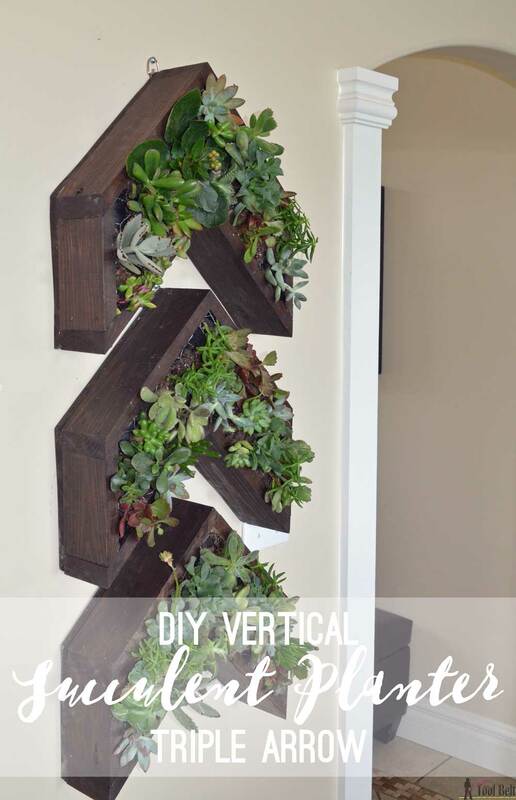 How would you customize your Vertical Succulent Planter? Check out more custom planters! * I acknowledge that The Home Depot is partnering with me to participate in this Workshops Program. As a part of the Program, I am receiving compensation in the form of products and services, for the purpose of promoting The Home Depot. All expressed opinions and experiences are my own words. My post complies with the Word Of Mouth Marketing Association (WOMMA) Ethics Code and applicable Federal Trade Commission guidelines. Super cool garden project! I love succulents so this caught my eye right away. Visiting from Creativity Unleashed party.